Derivates were a hot topic during the height of the banking crisis and we all remember they were the specific reason that AIG went out of business because they had been speculating in those products to an extent that far exceeded business requirements. When the markets froze AIG were unable to meet their off balance sheet commitments in the form of derivatives and went under. What followed in September 2008 was an $85 bn bailout. 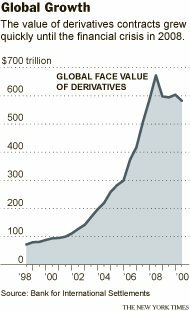 The level of derivatives in the world was close to $700 Bn. To place that figure in perspective, world GDP is around $60 Bn. Derivatives which are in theory a financial hedge or insurance against shifts in markets or currencies are worth an astounding 10 times the value of world trade. Even when we allow for secondary hedges (similar to re-insurance) there can be no good reason for derivatives at that level other than financial speculation. Which brings us to this piece in the New York Times that describes the method being used to manage that global risk in the wake of the crisis. The regulators have delegated the responsibility to the group responsible for much of those derivatives, and the names will be familiar. The NY Times piece focusses on the profits that come from the derivatiaves, and the extraordinary efforts to ensure that the trading in them remains with the banks and in a non-electronic form which appears to be related to retaining control of the market. It refers to similarities with Nasdaq in the ‘90s when it was pressured to become an open electronic exchange and that fees dropped significantly. There are two points to be made here. The NYT makes the point that significant profits are being protected by a closed group, and you can bet those revenues are costs that end up costing consumers more for for underlying services and products such as petroleum. 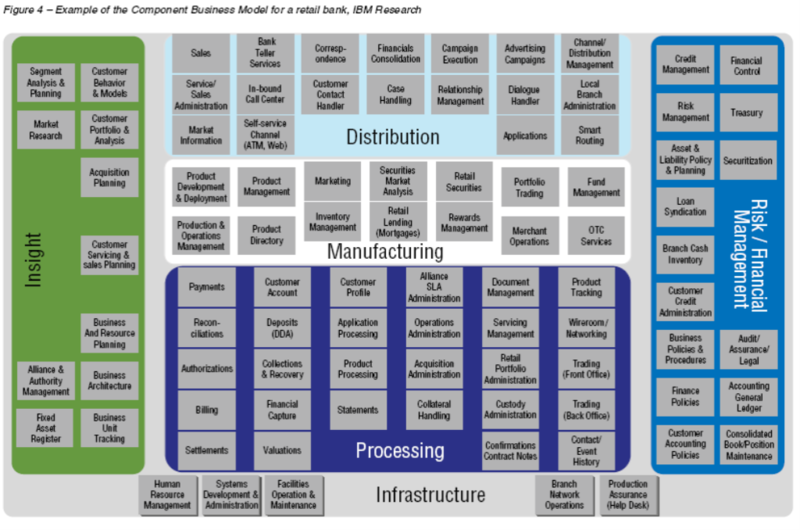 The second point to consider is the larger need for a market that reflects 10 x world GDP. The lack of transparency means that we cannot really explain that, and I still believe this to be a large and undocumented risk. I am not expert enough to begin to quantify the risk associated with derivatives, and I am in good company on that score. What I am qualified to state is the there can be no good associated with management of derivatives that amount for alongside your savings account. 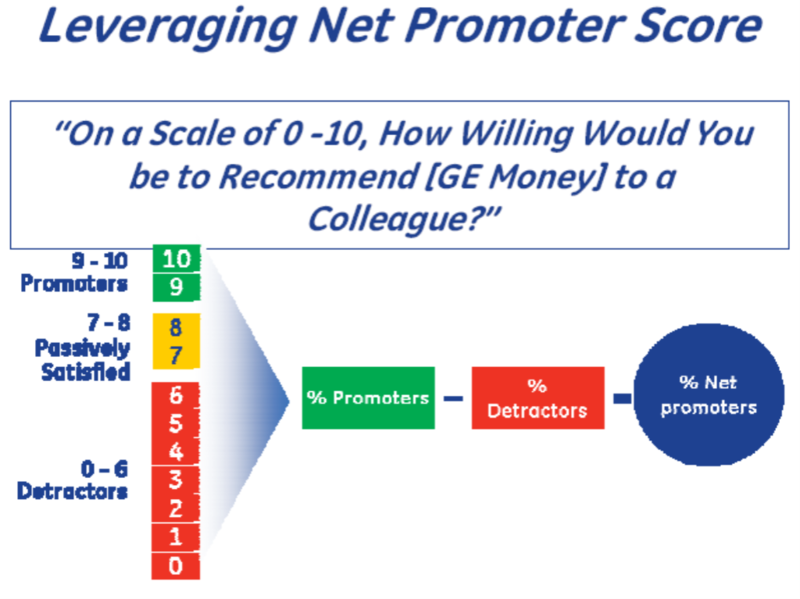 The parts of the new regulation that separate investment and retail banking must have some merit on that score. But we know regulators will never get it all right, and lobbying efforts to retain the status quo will likely be based on ideas that the tremendous risk associated with another freeze up with the credit markets as we had in September 2008 could re-occur in a heartbeat. All we know is the risk remains, and in this respect nothing has really changed since September 2008 with one key exception. The banking system has been guaranteed by governments implicitly since 2008 (explicitly in the case of Ireland) and this guarantee is the only thread holding it all together. 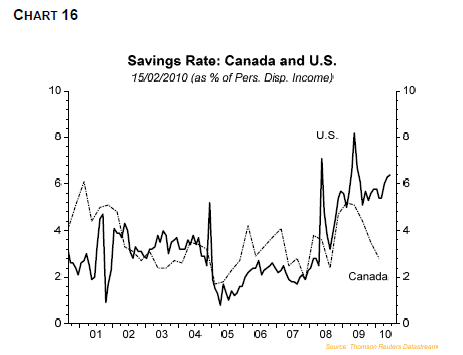 That is why the US in particular is so keen to ensure maximum liquidity for banks (Quantitative Easing). Why does it still feel that all we are doing is postponing inevitable tough decisions. This has to be one of those ‘say what?’ posts. A couple of weeks ago we had that deadly explosion in San Bruno near San Francisco caused by a gas pipe explosion of some variety. So now in the interests of transparency PG&E have been required to release details of any pipes that are considered potentially dangerous or requiring attention. Maps included. 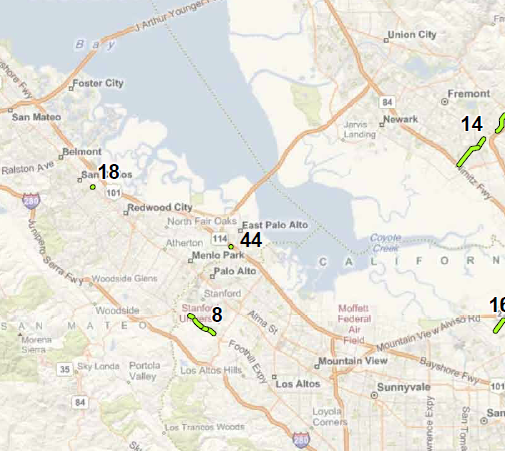 Well if you focus in on the #44 on the map, there is an 18’ foot segment near Menlo Park that is being ‘reviewed’. Description: PG&E is conducting an engineering review of 18 feet of pipe near Dunbarton St. and Donahoe St. in Menlo Park. Based on this review, PG&E will determine whether any repair or replacement is warranted.